Makeup sessions are all about glamour and beauty. You, as the makeup artist, can make sure that your clients enjoy their time with you if you provide them with comfort. 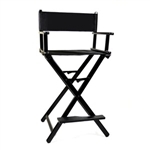 The right makeup chair, makeup stool or all-purpose chair can make the difference. At Source One Beauty we understand this and have put together a page just for that purpose. Browse through our many chairs bellow to find the perfect style for you and your beauty salon. Some key features of our makeup chairs and all purpose chairs are the adjustable and removable headrest, high back for comfort, swivel base and hydraulic pump lift to easy it up for the beautician and reclining back. 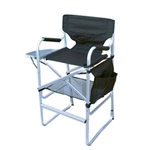 Many of our chairs are also available with optional foot rests.